The Internet is full of interesting contents, and we don't always have time to read them all. 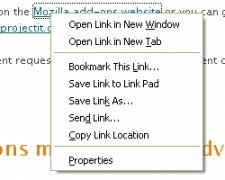 Link Pad is a Firefox add-on that carries out the functions of a notepad to store links, so as to access them later on. 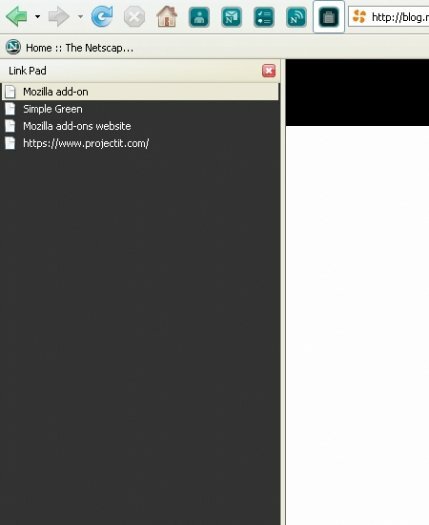 How this program works is rather simple as Link Pad enables a sidebar where you can store all the URLs by dragging and dropping them. It can be used for many more things than just simple leisure, as it can also be a very useful tool for projects that require you to gather lots of information, without having to open dozens of different tabs. Storage of any URL in the add-on's notepad. 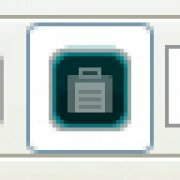 Icon to access the application on the browser's taskbar. Management of links from the context menu. Download Link Pad right now and have your own space on the browser to store the most interesting sites you come across. This add-on only works with Firefox 1.5 and 2.0.